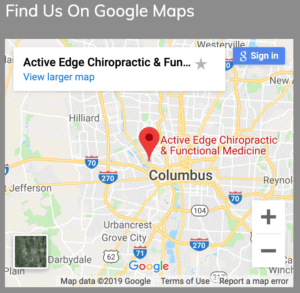 I was first introduced to chiropractic in the spring of my freshmen year at Archbishop McNicholas High School in Cincinnati, Ohio, while running track, playing Junior Olympic volleyball, and dancing. Pushing through the pain I was experiencing in my lower back, I realized it was becoming increasingly difficult to walk or bend forward without using my hands for support. After my family doctor told me I would have to stop running, my coach suggested chiropractic care. Not ready to cease any of the activities I loved, I took his advice and am so thankful that I did. Not only did my chiropractor relieve my pain and get me back to full function, he took the time to explain what was happening and why. He also gave me stretches and exercises that would help me continue living my active lifestyle. That same spring, I ran in the 4×400 relay in the state track meet and in 2007, I completed the Columbus Marathon! Inspired by my own success story, I strive to empower my patients to seek their greatest health and function as well. Over the years, I have become increasingly more passionate about helping others find this same great quality of life. During my undergraduate studies at The Ohio State University, I began personal training, teaching group fitness classes, and working as a chiropractic assistant. After earning my chiropractic degree at Northwestern Health Sciences University in Bloomington, MN and working six years in the field, I continue to be amazed by the tremendous improvements that holistic chiropractic care can make in peoples’ lives. As a Doctor of Chiropractic (D.C.) and a Certified Strength and Conditioning Coach (C.S.C.S. ), I am especially qualified to work with athletes and active individuals of all levels and continue to enjoy teaching fitness classes and personal training. D.C., Author of "Awaiting title**"
Born and raised in St. Cloud, MN, I have always been a very active guy. When I wasn’t playing sports, I was in the woods or on one of Minnesota’s 10,000 lakes. I received a Bachelor of Science in Biology with a Chemistry minor from the University of Minnesota Duluth. After completing my undergraduate degree, I still wasn’t quite sure what I wanted to do so I accepted a full-time position with the Longshoreman’s Union. Over the summers of my undergrad I worked there unloading ships, so taking a full-time position was a simple transition. However, the longer hours really took a toll on me. Back pain and headaches began affecting both my work and sleep habits. My roommate’s dad was a chiropractor and suggested that I get adjusted. I was tired of pounding ibuprofen and feeling like crap, so I decided to try it. I noticed a remarkable decrease in pain after just one adjustment. I began utilizing chiropractic care on a more regular basis and was able to completely alleviate all of my initial symptoms. I was so impressed with the level of care and the results, I experienced that I decided to attend chiropractic school at Northwestern health Sciences University in Bloomington, MN. While in chiropractic school, I pursued specialty classes in Applied Kinesiology, functional medicine, and nutrition on top of the regular curriculum. I continue to take many continuing education courses to further my education and skills as a health care provider. I recently completed a 48 hour nutritional seminar to learn more about treating chronic illnesses and determining individual’s daily nutritional supplementation needs. I am excited to share this information with my patient to influence their healthy choices and improve function from the inside out.